John F. Kennedy International Airport in New York City is consistently ranked as one of the busiest airports in the world each year. With millions of visitors passing through the airport annually, JFK has become notorious for its strenuous gridlock. 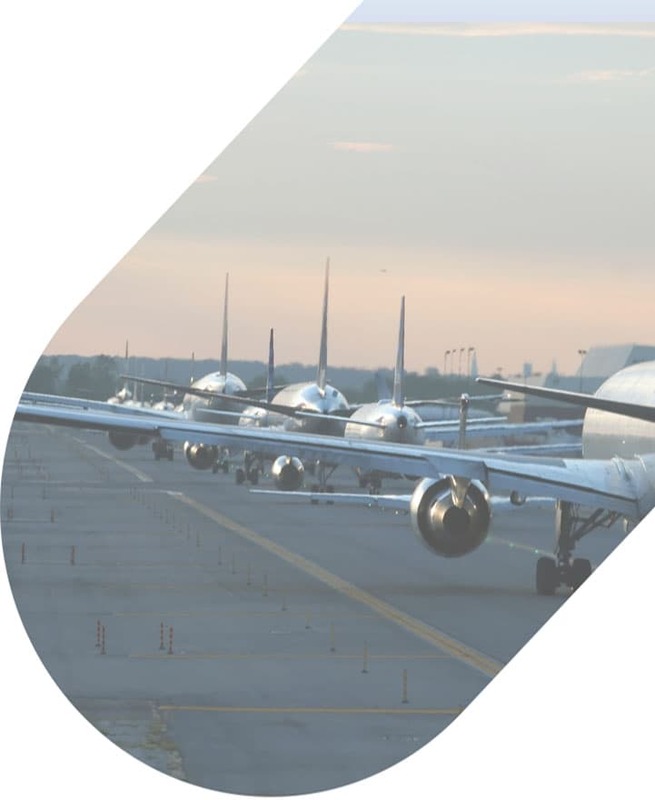 Large groups traveling to the airport will find navigating the airport to be exceptionally difficult, especially if your group is split up into multiple vehicles. A charter bus rental from National Charter Bus will make the travel experience to or from JFK smooth for your entire group. 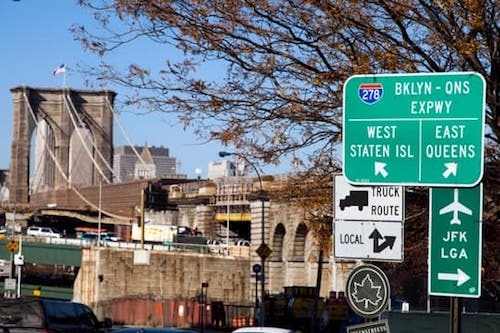 Travel groups of all sizes can find a suitable minibus or motorcoach for an easy trip to JFK. Give us a call 24/7 at 718-233-4974 to reserve your JFK Airport shuttle. JFK is located in Jamaica, Queens within New York City, just about 16 miles southeast of Manhattan’s Central Business District. The airport is a hub for major airline carriers like JetBlue, Delta, and American Airlines, but also includes over 90 other carriers that fly internationally. The airport's 8 terminals saw over 59 million passengers in 2017 and continued to see a record increase of passengers throughout 2018. 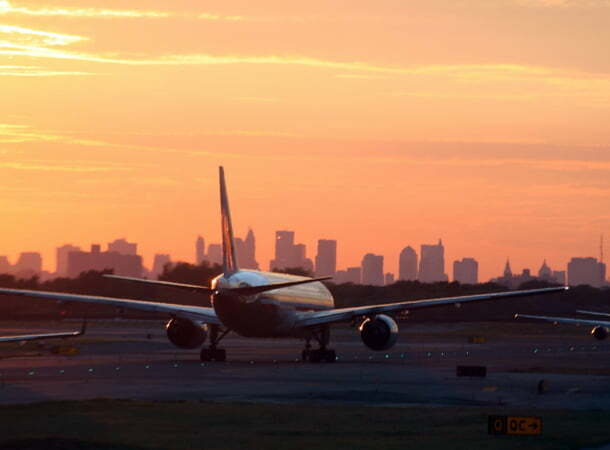 As the busiest airport in the world for international passengers, JFK sees its fair share of air and ground traffic. With so many planes arriving and departing each day, about one in four flights at JFK are delayed. The airport is within a short distance of multiple hotels and contains dozens of shops and eateries in each terminal, but the New York government is looking to improve future travel experiences for passengers. In the coming years, the city plans to invest billions in revamping the airport, but until then, it’s on passengers to make the best travel decisions for their trips. Catching a flight in or out of JFK rarely comes without a few hiccups. Renting a private charter bus will give your group an opportunity to sit back and relax before taking on airport check-in and TSA. Business groups flying into New York City can relax on the way to hotels or meetings with plush, reclining seats and complimentary WiFi, while large families traveling for vacations or reunions can rely on spacious luggage bays to fit every suitcase. National Charter Bus has the resources and network to accommodate groups of all sizes during trips to and from JFK. Small and medium-sized groups would be best suited with a compact minibus rental, which can comfortably transport 18, 20, or 25 passengers. These smaller vehicles are perfect for navigating the crowded expressways surrounding the airport. Large groups would be better accommodated with a full-sized coach or custom fleet of minibuses to get everyone around JFK as easily as possible. Driving around New York is already a daunting task. This becomes even more stressful when you’re in charge of a group arriving to or departing from JFK. After a long day of exploring the city or hopping off a redeye flight from Los Angeles, driving is the last thing your group needs to worry about. Every charter bus rented from National Charter Bus includes a professional, certified driver to handle the JFK Expressway for your group. Your driver will be well-versed in the ways of New York City traffic and roads, ensuring your group will make your flight or post-flight event with time to spare. One of the best perks of renting from National Charter Bus is the travel flexibility your group will have when in NYC. Transportation like hotel shuttles won’t provide personalized accommodations to your NYC itinerary. Most shuttles have a set schedule and sometimes require waiting for additional guests from other parties. Renting your own private charter bus will keep your group on track to arrive at set locations on your own time. Arrive at your hotel at your own leisure, or shuttle to nearby restaurants to enjoy a meal before or after a long flight. Make your departure or arrival at JFK Airport as easy as possible with a private charter bus rental from National Charter Bus. We pride ourselves on offering our passengers a comfortable and timely trip, no matter the destination. If your group is traveling into a busy airport in another major city like Philadelphia, Boston, or Washington DC, we’ll be happy to provide shuttle service. Call our rental experts around the clock at 718-233-4974 to assist you throughout the rental process.